The Philippines is a Southeast Asian Country in the Western Pacific, comprised of more than 7,000 Islands. The capital city - Manila is famous for its waterfront promenade and centuries-old Chinatown, Binondo. It is home to the baroque 17th-century San Agustin Church as well as Fort Santiago, a storied citadel and military prison. Taking medical education into consideration, Philippines stands out as one of the finest options among various countries. The cost of pursuing Medical education in Philippines is much lower than other countries like USA, Australia, China, etc. It provides the perfect amalgamation of theoretical & practical education, which enables the students to become successful medical practitioners across the globe. 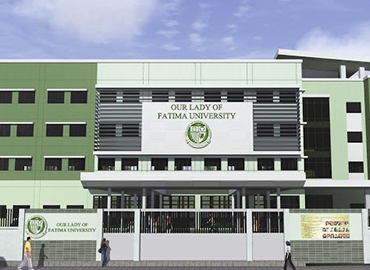 Universities like AMA School of Medicine, Our Lady of Fatima University, University of Perpetual Help, Davao Medical School of Foundation are few of the Premier Medical Universities for Indian students. Top Medical Universities are recognized by the Medical Council of India (MCI)and enlisted with the World Directory of Medical Schools. 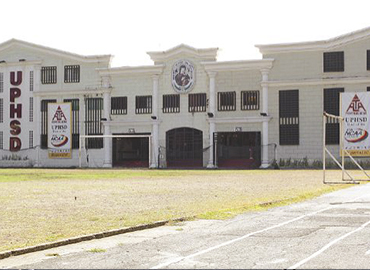 English is used as a medium of instruction in all the Medical Universities of Philippines. Affordable education, accommodation & budget-friendly living cost. Philippines follows the American Style PBL Curriculum. All eligible students should clear all three steps of USMLE to practice in the USA. Philippines also attracts students from more than 65 countries. Students from the United States and Europe, Singapore, Malaysia, Taiwan, Thailand and Hong Kong and especially India, are safely studying in a conducive environment. Concluding all the above advantages, MBBS from the Philippines is an excellent & attractive option for Indian students, who are willing to become great doctors of tomorrow. New Environment- As the student moves into a international location, the environment, languages and culture all around might cause one to feel homesick. Unfamiliarity with the surroundings and a new culture makes the students feel uneasy and might turn them into an introvert. 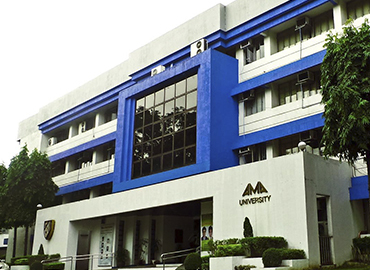 Overcrowded universities- Due to all the advantages that International students can get in Philippines, they get attracted to the Top Medical Universities in Phillipines which may lead to overstuffing of students in the Private Universities. Cheating Agents- The selection of a reputed consultancy is a vital step. Many students and parents get trapped with fake agents where they ask for additional money at the time of departure and troubling the students. No additional entrance test or examination is required for admission in Top Medical Universities of Philippines. Step 6- Visa stamping is your last step for your admission process. We at the Education Abroad, get your Visa stamped by the Philippines Embassy in New Delhi. After completing all the documentation part, just pack your bags and get ready to fly towards to Philippines and accomplish your academic goals! A destination for your success!!! USMLE - Passing out from the Medical Universities of Philippines, graduates can appear for the licensing exam of USA i.e. USMLE (the United States Medical Licensing Examination) step - one, two and three to practice medicine in the USA. Pursue MD in USA or Germany after MBBS in the Philippines- The major benefit of completing MD/MS in USA or Germany is that students do not need to appear for MCI Screening Test before or after MBBS in Philippines/Abroad. Upon your degree completion in Philippines, you can pursue Postgraduate level (MD/MS) from USA/Germany without clearing the MCI test. The degree offered from USA or Germany would be valid in India as well. Also, all the students are given a monthly stipend when they pursue further studies in the United States of America. Return to India for practice- After the students complete their MBBS studies in the Philippines and want to practice medicine in India, then the candidates have to qualify for the MCI and FMGE screening test, which is mandatory for all students and is also one of the most important exams of your medical career. Students will get ‘Eligibility Certificate’ from MCI & can practice in India after appearing for Screening Test. After Graduating, students can apply for Government jobs in India and do PG/MD/MS courses in India. Similarly, in order for students to practice medicine anywhere in the world, the students have to qualify for the licensing exams of that particular nation. It is compulsory that the graduates clear the screening test as it is conducted to test an individual’s skills & capabilities. The exam is of total 300 marks and 50% marks (150) are required to pass the test. The test is conducted twice in a year (June & December), so the aspiring students have the option to clear this exam in two attempts. It has no age limit and no rankings. Practice in the Philippines- Getting settled in Philippines is also a good option for the graduates. After completing MBBS in Philippines, you can practice there or choose to pursue post-graduation. Many candidates choose this option as a career path. Chance in Hospital Management- In the current scenario, Hospital management is a fast developing sector, offering good career options for the students from Medical background. Students also go for Masters in Hospital Management, after MBBS from Philippines. Students will surely have a bright future in their medical career after returning back to India as many medical institutions look for fresh talent graduating from Top Medical Universities of Philippines to widen the scope of knowledge and utilize their International exposure. EDUCATION ABROAD- Perfect Place for Medical Counseling….